Michael Worrell, an early Orion alumnus placed with Target Distribution in 1992, recently spoke with Hire a Hero about his civilian work experience since transitioning nearly 20 years ago. Worrell served as a Captain in the Air Force and was an Aircraft Maintenance Officer for eight years. During that time, he was stationed at Langley Air Force Base in Virginia, Howard Air Force Base in Panama, and MacDill Air Force Base in Florida. 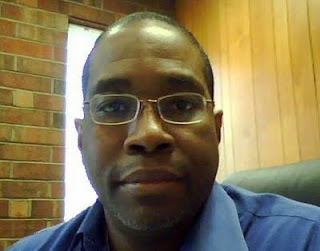 When he transitioned out of the military, Worrell had earned a Master’s degree in Aviation Management from Embry-Riddle Aeronautical University. After five years at Target, an opportunity to develop Victoria’s Secret Beauty, division of Victoria’s Secret Stores, into a larger stand-alone distribution center (DC) came his way. Worrell did just that, and nine years later he began running an entire DC for Home Depot. Worrell credits the knowledge that he gained at his previous employers with giving him the solid foundation to move on and be successful at Home Depot. As Worrell’s family got older, they wanted to move back home to Fayetteville, NC. Armed with a much better understanding of the civilian business world and the customer service and logistics knowledge he had obtained over the years, Worrell started his own business and opened a funeral home in Goldsboro, NC, that is doing very well. Additionally, Worrell runs a distribution center for a small company called Acme United. Worrell reminds veterans that their skills take them a long way as they accomplish a successful civilian transition. In fact, it is those skills that currently compel Worrell to hire veterans himself. Orion is proud to have helped Worrell start his logistics career nearly 20 years ago and wishes him continued luck as his career continues to evolve.